It was a real thrill last week when the drumming and percussion team building session kicked off for the staff at Mölnlycke. 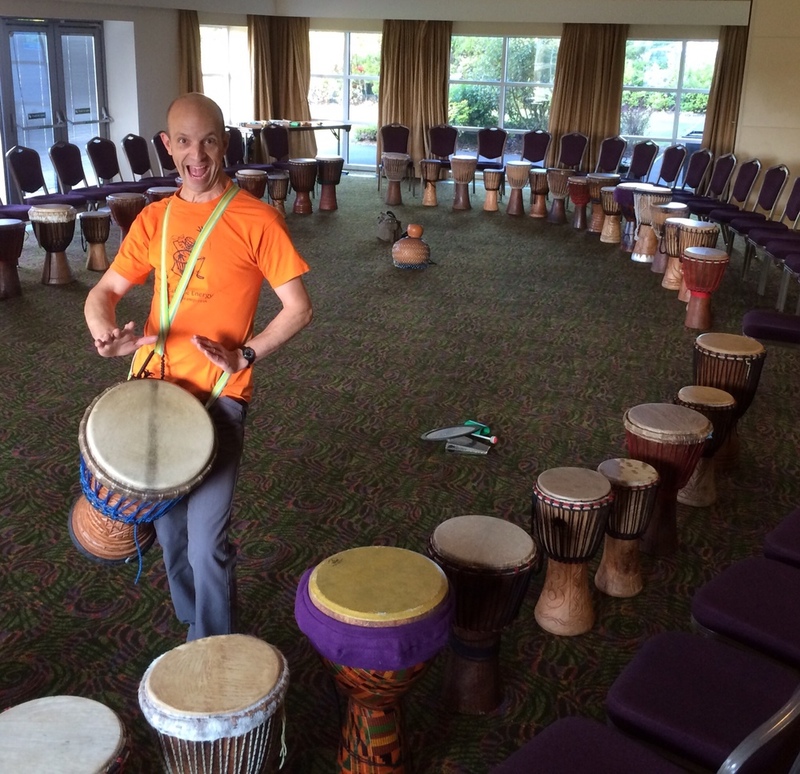 After the staff had overcome the initial shock of coming into the room and seeing a hundred drums and percussion laid out instead of the usual powerpoint screen, we began facilitating everyone into creating a giant group rumble. Within seconds a giant cacophony of sound came from the djembe drums, bells, wood blocks and frame drums - all rumbling to the pounding beat of the African bass drums! Once everyone had got the hang of rumbling to our hand signals, we then instructed select parts of the group to rumble. We then made sudden switches from one segment of the group to another - all taking turns at rumbling; but all making different sounds and pitch depending on whether it was the bell players; the bass drums players, the wood blocks or the frame drums. Then the rumble switching game started to gain momentum and as the entire group got more confident, the rumble from one part of the drum circle to another got faster. The end result was that the group started to create their own rhythm organically through this process of taking turns to rumble - it was the prefect rhythm chemistry of group participation, rhythm dialogue and synergy!